Welcome to Industrial Process Automation Technologies Co., Ltd.
I.P.A. Technologies Co., Ltd established in 2008 between both Danish and British entrepreneurs with a passion for excellence in automation and technology. Supplying an all-rounded base of expertise primarily focused around the Cement industry. Our mission is to help our clients achieve a competitive edge in their respective markets through the integration of real-time control and information systems. We specialize in providing total solutions in the field of industrial automation, ranging from instrumentation, electrical systems and control panels to completely integrated process control systems. Naturally, we also provided full support in these disciplines, including training of corporate maintenance and engineering staff. 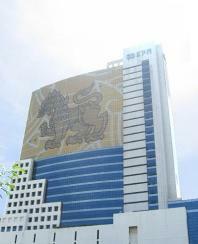 Our office is conveniently located on the 23rd floor of KPN Tower in Central Bangkok. At our heart is a team of skilled engineers, programmers, and technical support staff. Along with sales, marketing, and administration staff, we are committed to providing customers with unrivaled expertise, service, and support. To tie into international standards of trade and industry we ensure that our employees are well versed in safety rules and regulations in the workplace before they are allowed to work in our customers facilities.